Buying a used car through an auction saved me cash on my overall purchase, but more importantly, it saved me the headache and hassle of buying through a car lot. It just might be a solution for you too. Buying a car at auction is not for everybody; however, if you are like me, I simply dread even walking onto a car sales lot. Some slick sales person is going to squeeze me for every penny and show me cars that meet his sales quota need. My wife and I recently bought a used car from an auction, and it was a smart move for us. I literally saved over $1,800 off the price the full-size lots were asking, plus I had a wide selection, a full manufacturer’s warranty, and a late model car, which is nice since both of my other cars are over 13 years old. The auction was held in a city several hours away, so we used a licensed dealer who specialized in dealer auto auctions. He charges a flat fee for his services plus the actual auction price of the vehicle you have identified. It was straightforward and trouble-free! Nevertheless, let’s face it; there are pros and cons to auction buying. I have listed a few here. Many auctions occur weekly, therefore, if you don’t like what you see listed, wait a week. Major manufacturers offer a full warranty up to 36,000 miles. Buying used cars with less than this amount provides a level of security in the event something is wrong with the car. Large selection of late model cars, trucks, vans, etc. 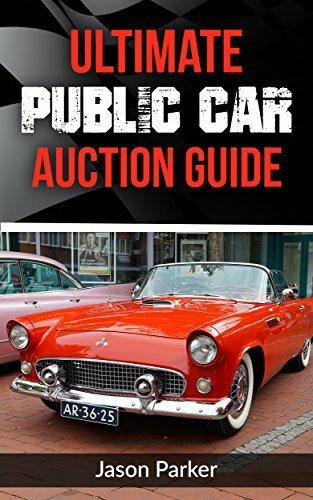 Most auctions have thousands of cars; this allows the buyer to get the make, model, and color he or she is looking for, and inventory changes weekly. I don’t have an intimate knowledge about cars and I know even less about auction protocol. Using a licensed dealer increased the cost slightly, but significantly increased my confidence in making a good buy. The best vehicles are rated green, therefore, I only considered this classification, which increased my chances of a reliable vehicle. This was the biggest hurdle for me to overcome. I was not physically present and could not see, touch, or drive the car. This is where a licensed dealer really paid off because my list was detailed on what I wanted. Of course, by test driving the make and model you are looking to buy at the local dealership will help ensure no surprises. When buying at an auction, there is a no-return policy. This requires some research on your part to ensure you identify what want to buy. Also, by going with low mileage cars that still have the manufacturer’s warranty, the buyer still has some assurance that if something is wrong, it can be repaired at your local dealership. If you live hours away from the auction like me, personal travel or shipping will have to be arranged to pick the car up. Fortunately, my licensed dealer warehoused the car for me for two weeks until I could make the trip out to pick it up (storage at no charge I might add). Most people live within a few hours of a major auto auction house in the United States. Getting the car of your choice is more available than you might think. Buying from an auction generally means payment in cash or certified check, which reduces your financing options. However, working through a licensed dealer that works directly with your financial institution will solve this limitation. For me, everything was prearranged with my credit union. I just signed on the dotted line and drove away. Before buying any car, spend time on the internet researching the best cars, fuel mileage, and safety rating that fit your need and purpose. Also, do yourself a favor and pick up the latest issue of Consumer Reports at your local newsstand or buy online. This publication alone can quickly narrow your focus on the make and model you should focus on, saving you hours of research and headache. Next, talk to your banker and be familiar with how much you can borrow and what their specifications are for financing a used car. You can generally get similar financing deals like the large dealer lots are offering. Finally, when you have narrowed your focus on the car you desire and what the bank will finance, check out the cars at your local auto dealer and test drive your car. This is the best way to find out what you like and don’t like about the cars. Drive the same model from different years, so you know if there are significant changes that bother you. And, who knows, the dealer may have just what you are looking for at your desired price. Ask the dealer you will use at the auction to provide a list of vehicles at the upcoming auction. Ensure the list includes the year, make, model, engine type, transmission, mileage, color, and Vehicle Identification Number (VIN) number. 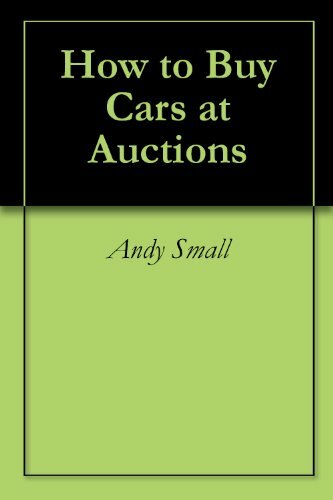 Follow the auction for a few weeks looking at each new list to obtain a feel for the cars available, and filter the list to only your needs. Talk to your selected licensed dealer; get to know him or her. You can quickly determine the business character by how they treat you, respond to your questions, return your calls, and take time to educate you on their processes so you have no surprises. When making your maximum offer, consider your financial institution requirements, your costs, if any, to travel and pick up the car, and the dealers flat fee. I subtracted all these fees from the maximum price I was willing to pay. A small deposit may be required at the time of the auction, but this goes towards your purchase and is refunded if a successful auction purchase is not made. I have owned the car for over eight months, and as of this writing, it is running perfectly. I have no disappointments. I bought a Toyota Camry with 22K miles for $15,240 from a large Las Vegas auction. The entire process was a comfortable and an exciting learning experience. I later learned that there are dozens of auctions around the country, so your next car purchase may be around the corner. Buying a car at auction may not work for everybody, but it worked well for me. I will definitely buy my next car from an auto auction. Thank you deltasmart, it was an eye-opening experience that has liberated me from thinking I have to buy at car dealership. I'd never thought of this approach, thanks for the info. My pleasure. It was a great experience for us. Mike at MikesAutoShack was a big help and a square guy to deal with throughout.